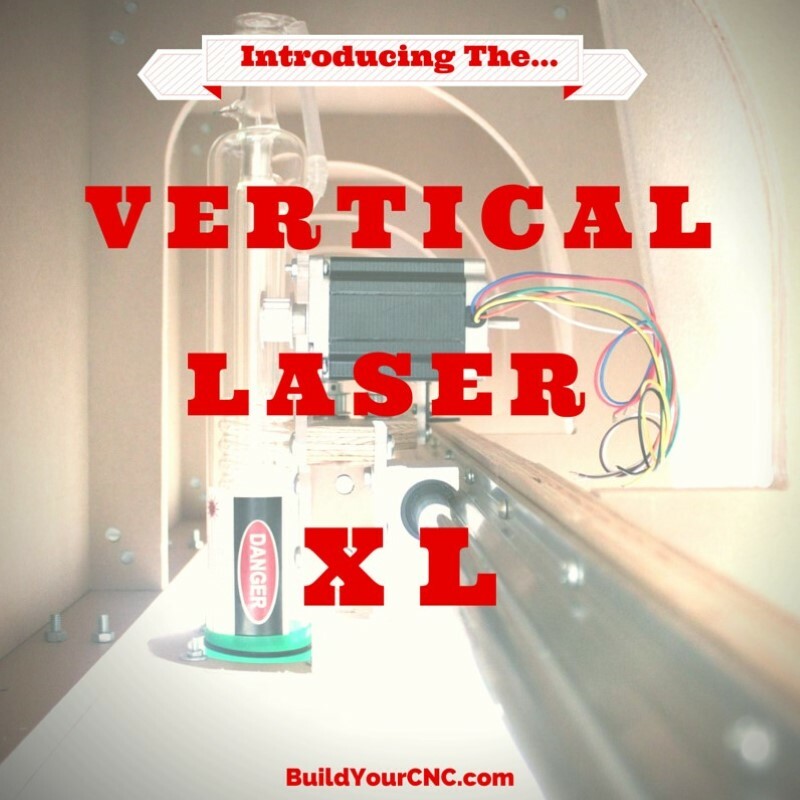 These 40 watt laser tube power supplies are available in 110 or 220 input voltage. 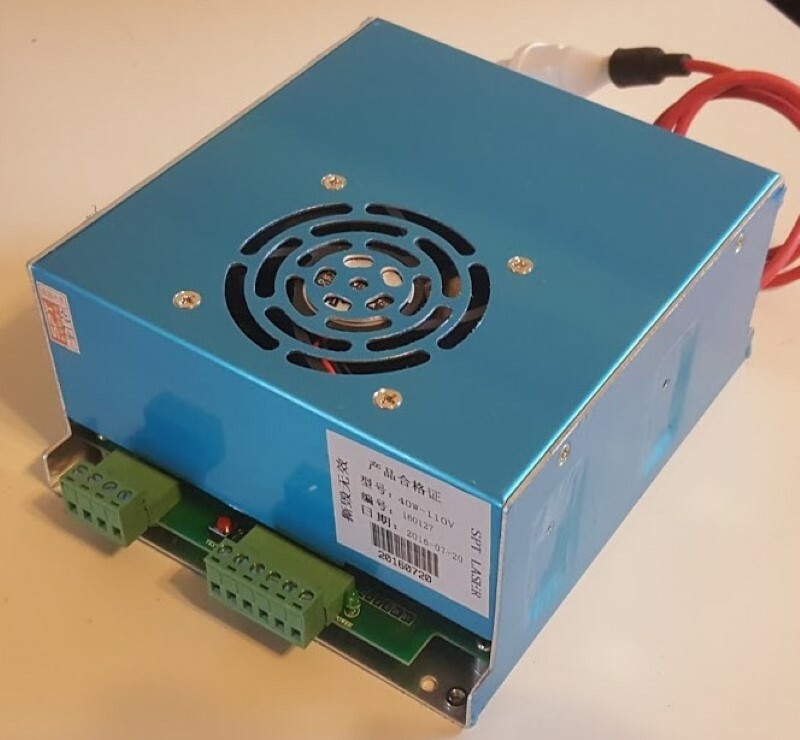 The power supply comes with a fan to provide cooling, two banks of terminals, a test firing button for testing laser output, and connection for the laser high-tension line. The first bank of terminals are dedicated to the input for power from the wall (mains). The first terminal is the high-tension return line which is connected to the tube. The next terminal is for earth ground to the mains. The last two are for the AC neutral and live (in no particular order). The second terminal bank is for the digital side to control the power supply. The first terminal is the 5V input. This provides the 5 volts for digital level power. 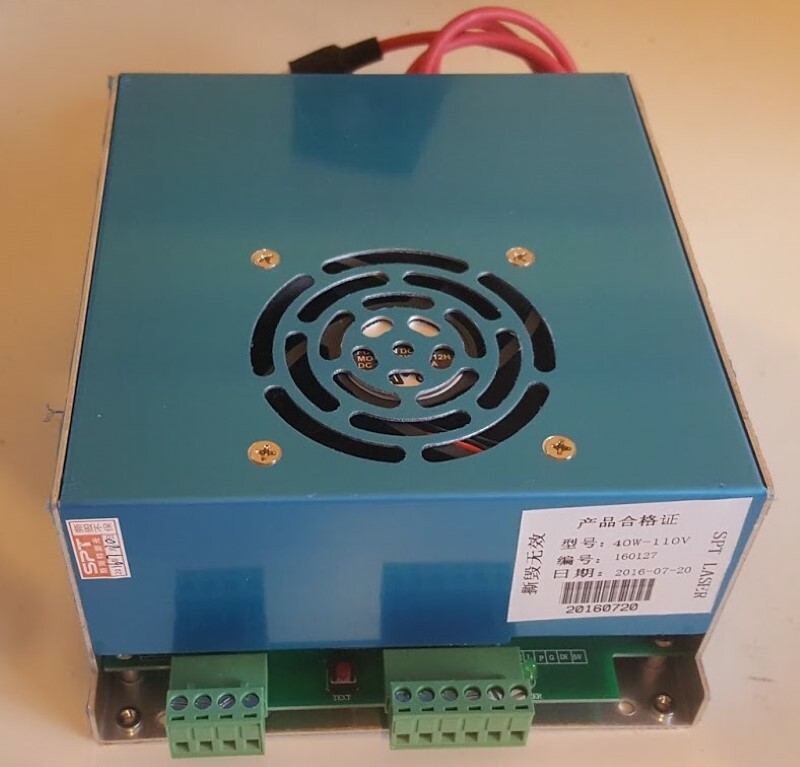 There is an input and you can put in a potentiometer or PWM (Pulse Width Modulation) signal which can control the intensity of the laser power during operation. A potentiometer is more of a manual approach to adjusting intensity and the potentiometer’s wiper (which is the middle lead) will be inserted in this input and it will vary the voltage between the ground and the 5 volts. This signal would be an analog signal between 0 and 5 volts, or it will have a digital PWM which does the same thing. The next terminal is the ground terminal which is the digital level ground coming from the controller. From the controller you can see there is a PWM, a DC5V and a ground (GND). The next terminal is the water protect: a signal that will power off the laser in case of a water leak or any other sensing of the laser operating in unsafe conditions. If you apply 5 volts to this terminal, the laser will turn off. Typically, the water protect terminal is connected directly to ground if you don’t have a device or a sensing capability to provide 5 volts here during a fault condition. The next terminal is the trigger low. This will trigger the laser if there is a ground or low signal here, which comes directly from the laser controller. TTL stands for triggering on a low signal. You’ll also see there is a WP (water protect) signal which can be connected directly to the protect terminal on the power supply. You also have a trigger high signal, so you can actually trigger the laser if a high signal is applied to this terminal. This doesn’t have to be connected unless your controller or method requires triggering on a high signal. Finally, there is a test button to test the functionality of the power supply when it is connected to the laser tube and the laser tube has power.